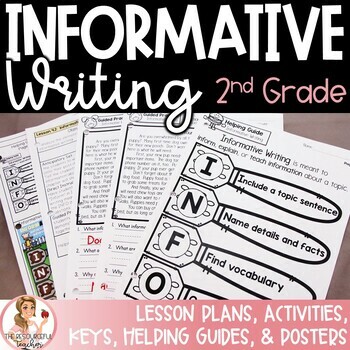 Teach your second grade students all about Informative Writing with this Informative Writing Unit using Step up to Writing. 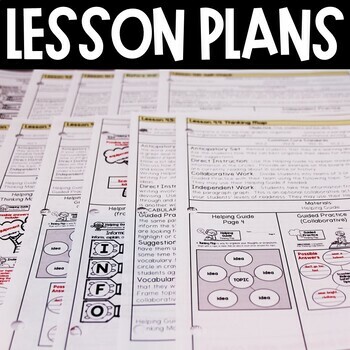 Unit includes Activities, Lesson Plans, Handouts, Posters, Teacher Instructions, Grading Rubric, Craftivity and Answer Keys from The Resourceful Teacher. - Students will be able to explain how and when to use a thesaurus. - Students will be able to use a thesaurus to find more precise wording and vocabulary when writing. - Students will be able to analyze the elements of informative writing. - Students will be able to answer questions about informative writing. - Students will be able to explain how to write for information using Step up to Writing. - Students will be able to complete a thinking map graphic organizer to organize their thoughts. - Students will be able to complete a paragraph frame to practice informative writing. - Students will be able to use domain-specific vocabulary to enhance their informative writing. - Students will be able to find domain-specific vocabulary in informative writing. - Students will be able to brainstorm ideas for their Informative Writing topic. - Students will be able to list and organize ideas about a given topic. - Students will be able to complete vocabulary tree. - Students will be able to write a topic sentence which clearly identifies the topic. - Students will be able to write details and facts to support the topic. - Students will be able to include domain-specific vocabulary in their graphic organizer. - Students will be able to check and fix mistakes. - Students will be able to consult reference materials when necessary to check for misspelled words. 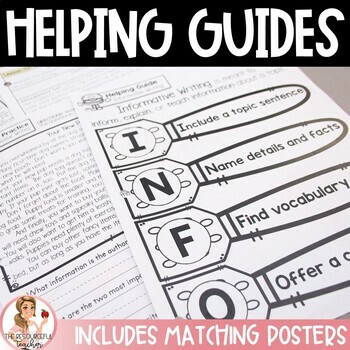 Use the Helping Guides to teach each lesson. 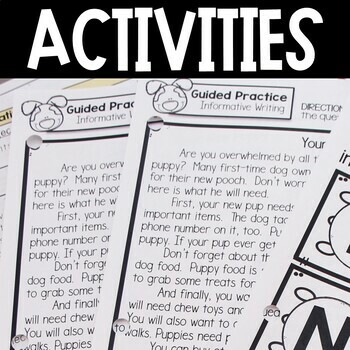 Give students the opportunity to practice by completing the "Let's Practice" section at the bottom of each page with them. Assess their understanding of the concept by having them complete the independent practice activities. Written for 2nd grade, but can be used with 3rd grade students. Can also be used for reteaching / reengaging and extra practice.